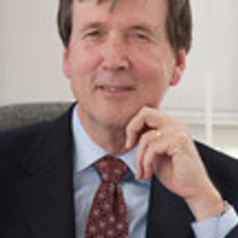 James Alm is Professor and Chair of the Department of Economics at Tulane University. Previously, he was Regents Professor in the Department of Economics at the Andrew Young School of Policy Studies at Georgia State University in Atlanta, Georgia, where he served as Chair of the Department and Dean of the School. He has also taught at Syracuse University and at the University of Colorado at Boulder. He earned his master's degree in economics at the University of Chicago and his doctorate at the University of Wisconsin-Madison. His teaching and research are in the area of public economics, in such areas as tax compliance, the tax treatment of the family, income reporting, fiscal federalism, and tax reform. He has also worked extensively on fiscal and decentralization reforms, both in the United States and overseas. He is the Editor of Public Finance Review, and he is currently the President of the Southern Economic Association.